I’m a little slow on the uptake on this one, but better late than never. The Pram Trio is a stylish, Toronto-based group of guys that are doing what so many young Canadian musicians wish they could: compose their own music and put a hip, modern spin on jazz. This is the kind of jazz I’d bring my non-jazz friends to come listen to. Their debut album Visitor Parking is made up of six originals and one cover (and the cover is Joni Mitchell tune, to boot). The band consists of Jack Bodkin on kays, bassist Mark Godfrey, and Richard Piasetski on Drums. Pram Trio began with the discovery of an abandoned vintage perambulator on the streets of Toronto. Shortly after, these three musicians played their first show together and the rest is history. The group combines elements of the traditional jazz piano trio with contemporary styles of music both within and beyond the jazz genre. With a strong focus on collective improvisation, the trio shares the goal of creating the best music possible in the present moment. 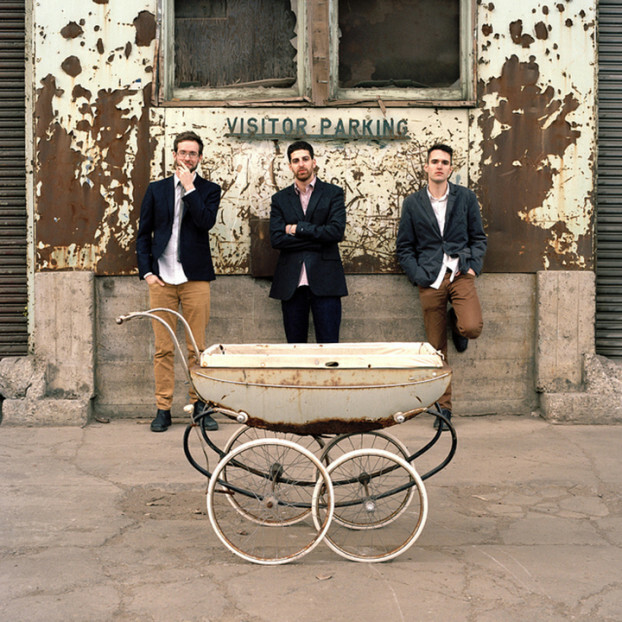 Pram Trio has enjoyed two Canadian tours, and will be releasing their debut album September 3rd, 2013. Have a listen to one of their tunes below. You can catch them in person tonight at the Bassment.